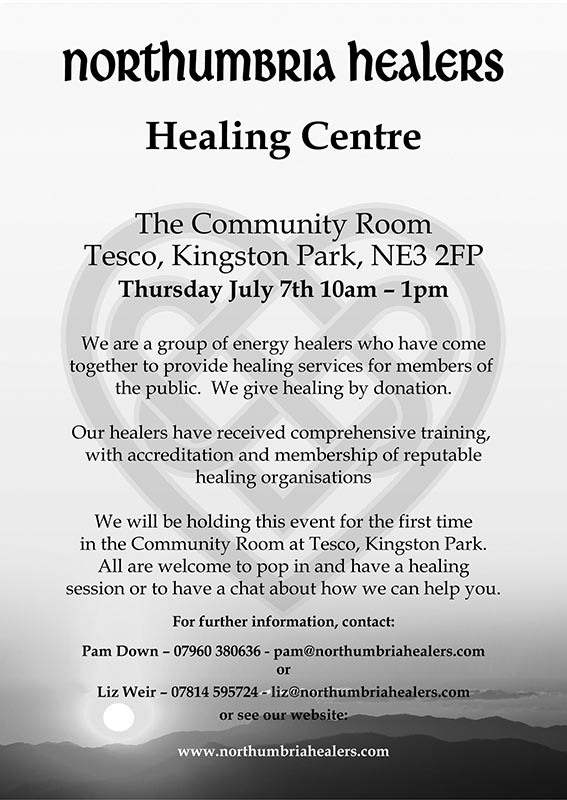 Northumbria Healers will be holding a Healing Centre in Tesco’s Community Room at Kingston Park, Newcastle NE3 2FP on Thursday 7th July from 10 a.m. to 1 p.m. Do join us, if you can. As usual, healing will be given by donation. We look forward to seeing you there!